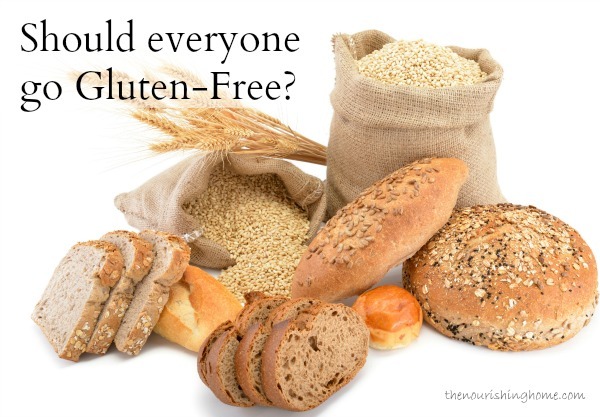 Many individuals and families are considering whether or not to go gluten free? For some, the decision is the result of a serious gluten-related illness, such as celiac disease, Crohn’s disease, inflammatory bowel disease, etc. For others, it’s yet another attempt to uncover the reasons for unusual, unexplained symptoms that seem to persist despite healthy lifestyle changes. 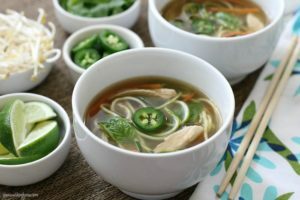 Whatever the reason you’ve decided (or may be considering) to make the transition to a gluten-free lifestyle, the tips below are provided to help and support you in your newfound journey – from someone who knows just how overwhelming the prospect of eliminating gluten (and grains) can be. So as you start down the GF path with the hope of transforming your health, let me encourage you that every journey starts with small steps forward, and it’s those slow, steady steps that lead to positive changes that last a lifetime! 1. 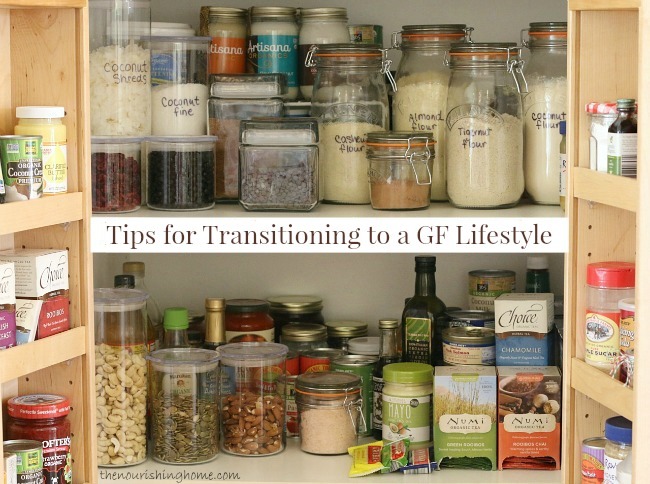 Do your homework – If you don’t have a few specific reasons and goals for going GF, then it will be much harder to maintain this restrictive lifestyle for the long-haul. So take time to do your own research on the GF diet, seek the advice of a trusted healthcare practitioner and set some goals to track and measure your progress. 2. GF Kitchen Makeover – It’s not always do-able to completely rid your kitchen of all gluten (and grains, if you’re grain-free), if your family is not going GF too. So do what is best for you and your family. Since I’m the only one in my home that’s GF, I’ve dedicated one shelf in the pantry and fridge for my family to keep their gluten-laced stash. Of course, the more you can rid your home of gluten the better for the sake of keeping temptations at bay and reducing the risk of cross-contamination. 3. Stock up on GF foods you already love ­– Fresh veggies, fruits, nuts, seeds, beans, meat, fish, poultry and eggs are not only naturally gluten-free, they are REAL whole foods chock-full of great nutrition. So focus on stocking up on these foods! In addition, be sure to also have plenty of healthy fats on hand, such as butter, coconut oil, olive oil, seeds, and nuts. By focusing on whole, unprocessed naturally gluten-free foods, you’ll jumpstart the process for healing your gut and increasing your health and energy levels. 4. Put your apron on – The more you cook at home, the healthier you’ll eat, the more money you’ll save and the less likely your chances for being “glutened” – an infamous expression that describes the horrible discovery that you’ve become ill because you’ve inadvertently ingested some hidden gluten. Ugh! Yet, it’s important not to become a hermit either, so see “Be Prepared” below for tips on how to venture out safely. 5. Embrace meal planning – No matter what diet you follow, there is nothing more helpful than meal planning! That’s because it helps to save time, money and stress in the kitchen. And it’s the key to helping individuals stay on track with their healthy eating goals. As part of the ministry here at The Nourishing Home, I’m pleased to provide free GF Whole Food Meal Plans and other helpful resources to make getting healthy meals on the table a whole lot easier and more affordable! 7. Be prepared – When it comes to eating away from home, the boy scouts have it right – “Always be prepared!” Just a few simple ways to do this are to keep snacks on hand, so no matter what the situation, you have a quick, healthy snack. If you’re attending a dinner party, church fellowship or other food-related event, you may want to eat beforehand just incase there’s nothing there that you can safely eat. Or in the case of dinner at a friend’s or family member’s home, ask if you can bring a dish or simply explain your dietary restrictions. Thankfully, most people are very happy to help accommodate. And when it comes to restaurants, it’s better to put a little time into researching a few trusted restaurants in advance, than to arrive only to find there aren’t many (or any) viable options. 8. 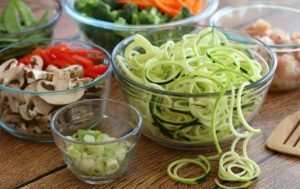 Read Labels – Unless you are planning to make every single food you eat from scratch, one of the most important things you can do, as someone who must avoid gluten, is to get savvy with reading food labels. It may seem overwhelming at first, but there are so many hidden sources of gluten out there, it’s vital to know how to identify gluten-based ingredients. 9. Give Yourself Grace – It takes time to learn a whole new dietary lifestyle, you’re going to make mistakes and have a few hiccups along the journey. That’s normal and to be expected. The key is to not give up, but instead stay focused on your goals and keep making forward progress. 10. Get Support – It’s not easy to be gluten-free, especially if you’re flying solo. So getting connected with other gluten-free friends in your community or online can really be a source of encouragement. Having others to share questions and learn from is so helpful in staying motivated and inspired. Many of the major GF organizations have listings for local support networks, and offer online support forums. You’re also more than welcome to join my wonderful group of friends at The Nourishing Home Community. We are more than happy to help answer questions, encourage you and support you in your GF healthy living journey! Six Strategies for Super Healthy Lunches Kids Love! Yes, I am gluten-free (and 99% grain-free) and I’ll be sharing more about my personal health journey with you soon, dear friends. But first, I wanted to take a moment to pose a common question that many are asking (or silently mulling over in their minds). It’s a question that I don’t take lightly, because it’s one that I myself took a lot of time to consider. If there is one thing about me that you should know, it’s that I’m a painstakingly slow decision maker. And if everyone’s jumping on a bandwagon, it often gives me even more reason to pause and consider what’s the right choice for me? Probably because I’m not a fan of fads ­­– especially fad diets. They come, they go, and the majority of the time they leave their followers frustrated, overwhelmed and malnourished. Instead, I’m a firm believer in adopting a healthy lifestyle – a consistent lifelong pattern of healthy living that comes from a taking a personalized, holistic approach to one’s health. Should Everyone I Go Gluten-Free or Grain-Free? When the answer might be YES! For some (like me), being gluten-free (or grain-free) isn’t a matter of wanting to embrace the so-called latest dietary trend – it’s a legitimate necessity! For example, living gluten-free is an absolute must for those with Celiac Disease, since even the smallest amount of gluten triggers a serious immune system response that damages the lining of the small intestine, resulting in a number of debilitating symptoms and problems related to malnutrition. Yet, it’s important to note that troublesome reactions and health issues related to gluten intolerance are more prevalent than previously realized. According to recent research, experts now agree that celiac disease represents just one extreme of a broad spectrum of gluten intolerance that includes millions of people with problematic reactions to the protein. So, while celiac disease affects about one percent of the U.S. population, experts now estimate that as many as 10 percent of the population may have a related condition known as Non-Celiac Gluten Sensitivity (NCGS), often referred to as gluten sensitivity. For individuals with NCGS, going gluten-free is also a necessity in order to help alleviate troublesome symptoms and chronic health issues, particularly autoimmune related disorders, inflammatory bowel disease, autism, ADD/ADHD, asthma and more. It’s also important to note that for many, gluten intolerance may not present with typical digestive-related symptoms. In fact, nearly 50 percent of individuals diagnosed with NCGI do not have gastrointestinal symptoms at all, which is why there are so many undiagnosed cases of gluten intolerance. When the answer might be NO. But what about those who do not have a specific health issue that’s best addressed by removing gluten (and potentially grains as well)? Should these individuals go gluten-free or grain-free too? • How would the GF lifestyle benefit me personally? • What is my motivation for wanting to go GF? • What support and resources will I need to make this a healthy transition? The fact is, despite the wonderful benefits of the GF lifestyle for many of us with chronic health issues and gluten sensitivities, it doesn’t necessarily mean it’s the one and only ideal diet for everyone period. After all, God created grains for man’s nourishment (as recorded in His Word) and mankind has been enjoying and thriving upon properly prepared whole grains since the beginning of recorded history. So although I am a firm supporter of the GF lifestyle which is why you will find The Nourishing Home to be a wonderful resource for nourishing whole food GF recipes and meal plans, you will never find me preaching it’s the one and only lifestyle for every single person period. Instead, just as the Lord has walked me down this pathway of grace and mercy in helping me to better achieve health for the sake of better serving Him and those he’s placed in my life – my prayer is that He will guide and direct your steps as you walk with Him in your own personal journey toward living a more nourished life. Seeking the True Bread Life! 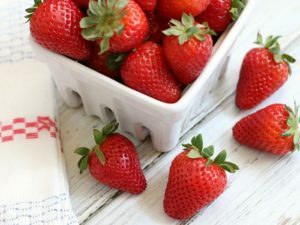 So let’s make healthy living, whichever path we decide to take, about embracing a whole hearted lifestyle – an intentional journey toward making small steps forward in nourishing our bodies and souls, so we can better serve the Lord. *Please note: I am not a medical professional, and I strongly believe that it’s vitally important for individuals to make their own healthcare and dietary decisions based upon their own personal research and in partnership with a qualified health care professional. In a nutshell (from a Christian perspective), Real Food is about eating what God created, as close to the way that He created it as is possible. Sadly, much of the food we eat today is nothing like the nourishing foods our ancestors ate just a hundred years ago, let alone in centuries prior. 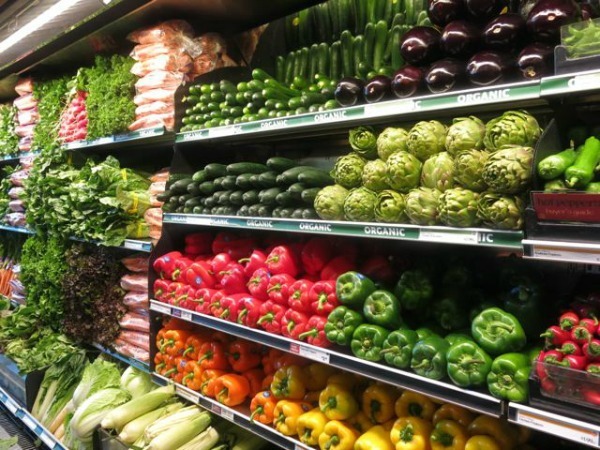 Unfortunately, due to an industrialized society in which instant-gratification has become the norm, most people have moved away from eating the healthy whole foods to eating man-made processed distortions of the real food graciously given to us by our Creator. So it really shouldn’t be a big surprise to see the skyrocketing disease and illness prevalent today. Just as one example, Type 2 diabetes in children was relatively unheard of just 50 years ago, but it is now considered one of the top health concerns of our nation. In fact, the CDC predicts that if our nation continues in the current trend, approximately one in three children born since the year 2000 will become diabetic. It’s important to note that the single largest risk factor for developing Type 2 diabetes is obesity, followed by insulin resistance, which are, of course, directly related to an individual’s diet. My humble opinion is, we can either turn a blind eye to the rapidly declining nutritional value of the pseudo-foods and GMOs marketed and sold in our country as food. Or we can choose to humbly go back to our roots and focus on eating what our Creator designed for us – real food. After all, He knows best what we need to maintain health and vitality – He created us! IMPORTANT NOTE: Before I explain the premise behind what I like to call the “back-to-real-food” movement, I want to take just a moment to clarify my intentions and motivations. I’m not saying that eating real food makes someone more Godly, or more accepted by God. We gain acceptance by God through Jesus Christ alone. Additionally, the Lord is quite clear in His word, that “man does not live by bread alone, but by every word that comes from the mouth of God” (Matthew 4:4). So, the most important thing we need to ingest is His Word. Therefore, our pursuit of health and wellness should be focused not on our own personal gain, but with the goal of being good stewards of our bodies in order that we might be more useful in serving the Lord and advancing His Kingdom. In addition, below are some helpful guidelines (abbreviated) from the Weston A. Price Foundation, which I hope will shed a little more light into what “real food eating” is all about. In simplest terms (from a Christian perspective), it’s about eating what God created, as close to the way that He created it as is possible. • Eat whole, unprocessed foods. • Eat pasture-fed meats: beef, lamb, game, organ meats, poultry and eggs. • Eat wild fish (not farm-raised) and shellfish from unpolluted waters. • Eat raw, organic, pastured whole milk products (if you opt to include dairy), such as: raw milk, raw cream, yogurt, kefir, cultured butter and raw cheeses. • Use animal fats, such as lard and butter. • Use traditional pure vegetable oils: extra virgin olive oil, avocado oil, and the tropical oils – coconut oil and palm oil. • Eat fresh fruits and vegetables (preferably organic and raw, if your digestion system can tolerate, or eat lightly steamed for best nutritional value). 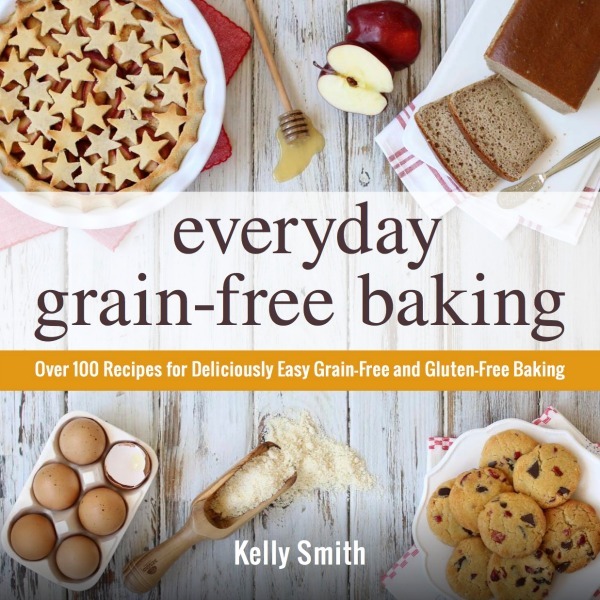 • If you are not living grain-free, then be sure that the grains you eat have been traditionally prepared to neutralize phytic acid, enzyme inhibitors and other anti-nutrients. This also applies to legumes and nuts. • Include enzyme-enhanced lacto-fermented vegetables, fruits, beverages and condiments in your diet on a regular basis. 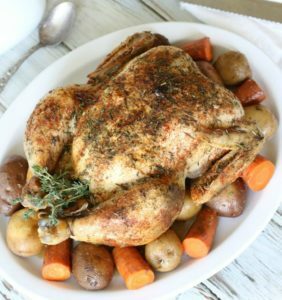 • Prepare homemade stocks and bone broths from the bones of pasture-fed chicken, beef, lamb and fish and use liberally in soups, stews, gravies and sauces. • Use filtered water for cooking and drinking. • Use unrefined salt (such as Celtic sea salt or Real Salt) and a variety of herbs and spices. • Make your own salad dressings using fresh whole ingredients. • Use natural sweeteners in moderation, such as raw honey, pure maple syrup, coconut sugar, and maple sugar. In closing, I do want to again point out that true nourishment – of eternal lasting value – only comes through knowing and serving the Lord. If you want to know more about how to get real life – eternal life – I implore you on behalf of the Lord Jesus Christ, to please read the Good News! Disclosure: Some of the links in this post include affiliate links, providing The Nourishing Home a small percentage of the sale at no additional cost to you. Of course, you are not obligated to use these links to make a purchase, but if you do, it helps to support this site and ministry.